Prior to now, American fans of the Muji brand have had to travel to Japan, London, or Paris to snap up the Japanese retailer�s sleek, simple clothing, home furnishings, and accessories. 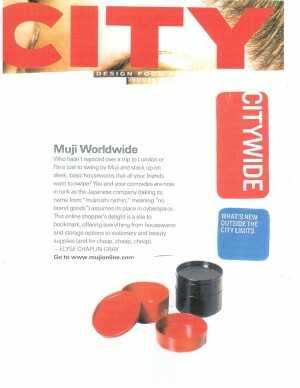 PKPR recently handled publicity for the launch of mujionline, its first-ever online store accessible to U.S. customers. Placements were secured in a wide range of lifestyle and fashion media, including Entertainment Weekly, Real Simple, US Weekly, Newsweek, MSNBC, City, Bloomberg, and Elle Girl.